What’s really in the air in Dallas? Public anxiety over the aerial spraying of insecticide in Dallas to control mosquitos has raised questions about safety, but few concrete answers. Instead of taking the manufacturer’s word that Duet Dual-Action Adulticide is safe, the public should be provided independent studies about the contents of the product itself. Clarke Mosquito Control, the manufacturer, has a financial incentive to stand behind their polished marketing materials and safety assurances, but what’s really behind the green label? The insecticide is a cocktail of three active ingredients: sumithrin, prallethrin, and piperonyl butoxide. Piperonyl butoxide is listed third on the Duet Dual-Action Adulticide label, but it may be the most harmful. What are its common uses? Piperonyl butoxide (PBO) is not actually an insecticide itself — instead, it increases the potency of the two other chemicals. What this means is that although the label may show “safe” levels of other chemicals, the potency of those chemicals is actually much, much stronger in practice. How does it work? PBO is a synergist which increases the toxicity of other chemicals: the more piperonyl butoxide in a product, the more powerful the other chemicals. The presence of piperonyl butoxide makes determining true levels of the other chemicals a murkier process. Some products contain up to ten times more PBO than insecticides themselves. Of course, manufacturers often downplay the inclusion of PBO. Sumithrin: Sumithrin, also called phenothrin, is a synthetic pyrethroid. Prallethrin: Prallethrin is also a synthetic pyrethroid. What are their common uses? Sumethrin and prallethrin are commonly used as insecticides to kill household insects, including mosquitoes. They appear in products such as Raid, Enforcer, Ortho, and Anvil. One of the most common uses of sumithrin is in flea and tick products for pets. It’s also an ingredient in head lice products for humans. How do they work? As pyrethroids, sumethrin and prallethrin cause nerve paralysis in the insect, effectively shutting down the insect’s functioning. Are they safe? Sumethrin is a known endocrine disruptor, neurotoxin, and likely carcinogen. In 2005, the Environmental Protection Agency (EPA) revoked permission to use sumethrin in flea and tick products after thousands of cats and kittens were poisoned and killed by its use. Few long-term studies on the safety of pyrethroid insecticides exist because they have only been in widespread use since after 2000 when the the EPA phased out the use of chlorpyrifos and other organophosphorus insecticides due to risks to child neurodevelopment. Out with the bad, in the worse? Dallas is not alone. Almost all cities across the United States use insecticides to control mosquitoes and other summertime insects. The New York Department of Public Health and Mental Hygiene advises the public — especially anyone with asthma or respiratory sensitivity — to remain indoors during spraying, close vents and turn off fans and air conditioners to reduce indoor exposure, remove children’s toys and outdoor furniture from outside and/or wash them before using again, wash all produce, and wash skin and hair if exposed to the pesticide. These are fine recommendations, but my concern is that most people are unaware of the spraying schedules in their cities. Do you know if and when your city sprays these toxic chemicals? In Dallas, Texas, it’s raining synthetic pyrethroid Duet Dual-Action Adulticide — 2,000 gallons of it, according to some estimates. To contain the mosquito-transmitted West Nile Virus, airplanes will wash at least twelve cities in Texas with the toxic insecticide. If you think this issue only affects Texans, think again. In parts of California and Florida, aerial spraying of toxic insecticides has been a routine response to summertime mosquitos. Whether to respond to cases of West Nile Virus with aerial spraying will soon be a question faced by other areas of the United States as well. This week, an increasing number of West Nile Virus cases were recorded in Chicago and its surrounding suburbs. As of this past Tuesday, the Centers for Disease Control and Prevention recorded 693 cases of West Nile virus in 32 states. 336 of those cases were reported in Texas. In all likelihood, many more unreported, symptom-free cases exist. The Environmental Protection Agency acknowledges that, even when applied according to the label, synthetic pyrethroids pose “slight risks of acute toxicity to humans” and at higher doses “affect the [human] nervous system.” Some Dallas area doctors are advising patients with asthma or respiratory sensitivity to leave areas that are being sprayed. Do officials really believe the aerial spraying is safe? After all, many officials live within the limits of the regions that will be sprayed. 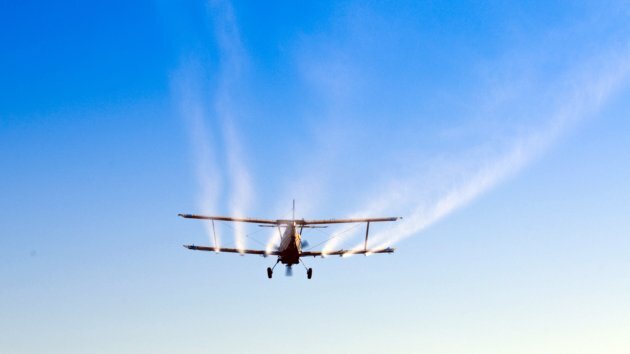 The answer, it seems, is that aerial spraying is safe for the public — but not safe for government officials. According to several news sources, pilots were asked to avoid spraying former President George W. Bush’s home with the toxic insecticide. Which is worse? Exposure to West Nile Virus or exposure to Duet Dual-Action Adulticide? 80% of those who contract West Nile Virus experience no symptoms and clear the virus without treatment. 20% of those who contract the virus will experience flu-like symptoms (fever, body aches, swollen lymph glands). If infected, you have a less than 1% chance of dying from the disease. 1 in 150 people will have a severe reaction to the virus which could result in permanent damage or death. For comparison, what are the chances of experiencing side effects from pyrethroids? The truth is, we don’t know for sure. When it comes to approving the use of chemicals, the Environmental Protection Agency behaves much like our judicial system: Chemicals are considered innocent until proven guilty beyond a reasonable doubt — and by that time, it’s often too late for those exposed. Pyrethroids are used as insecticides because they kill insects, fish, and other invertebrates by interfering with, and rapidly shutting down, basic nerve cell functioning. The EPA has classified pyrethroids as “likely to be carcinogenic to humans” if swallowed, inhaled, or otherwise ingested via the mouth. Pyrethroids are a known endocrine disruptor. Their estrogenizing effects include lowered sperm count in men, and the development of abnormal and cancerous breast tissue in both male and females. Pyrethroids are a known neurotoxin. Symptomos of neurotoxicity from pyrethroids in humans include nausea, headaches, tremors, seizures, lack of coordination, and elevated body temperature. Pyrethroids are significantly more damaging to the developing systems of children than to adults. Pyrethroids are significantly more harmful to cats than to dogs. (This is one reason manufacturers must make separate flea control products for canines and felines — cats’ livers are unable to handle the higher doses that dogs are able to survive. Always explore non-toxic flea control for your pet before resorting to chemical products.) UPDATE 8/19: View the Pet Poison Helpline’s list of pyrethroid toxicity symptoms in cats and dogs by clicking here. So what can you do? Unfortunately, there is little you can do to avoid pyrethroid exposure once your city has made the decision to approve aerial spraying without avoiding the area altogether, but there are natural ways to limit the mosquitoes around your home. Inspect the outdoor areas around your home and remove standing water (bird baths, puddles, etc.) since stagnant water sources are breeding grounds for mosquitoes. If you plan to be outside, cover up – wear long pants and long sleeves. Avoid applying scented lotions and perfumes to your body, which can attract insects to you. Do you have any other green suggestions? Please leave a comment below. UPDATE 8/19: The rain in Dallas has slowed, though not halted, the aerial application of Duet Dual-Action Adulticide. Given the response to this post, I wanted to provide two additional resources. To view the Pet Poison Helpline’s list of pyrethroid toxicity symptoms in cats and dogs, click here. To read a sample label of Duet Dual-Action Adulticide, click here. According to this label, the insecticide’s active ingredients are sumithrin, prallethrin, and piperonyl butoxide. Read our updated analysis of Duet Dual-Action Adulticidie’s safety by clicking HERE. Image below shows geographical West Nile Virus infection. Via. 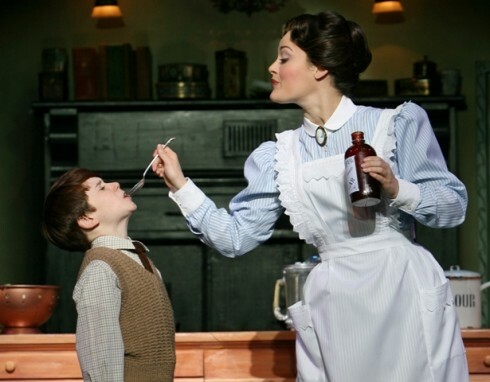 Photo: When Mary Poppins sang about a spoonful of sugar in 1964, most Americans had never even heard of high fructose corn syrup. To sum up the study: Overweight and obese men and women between the ages of 25 and 60 were split into five groups and provided diets with varying levels of sucrose or high fructose corn syrup (HFCS): 10% sucrose, 20% sucrose, 10% HFCS, 20% of HFCS, or a diet designed to maintain weight. The sucrose or HFCS was consumed as liquid. All groups were required to exercise. The study sidesteps the toughest criticism of HFCS — that, calories aside, it is linked to obesity in those who consume it — and instead asks a simpler, less-incriminating question: Does high fructose corn syrup cause more weight gain than sugar when participants are already overweight and are not allowed to act on cravings or consume additional calories? While it’s true that a calorie is equal to any other calorie when analyzed as a mathematical measurement of energy, where health becomes more nuanced is when we realize that calories from different sources have different effects on the body. In a clinical atmosphere, when you control a person’s caloric intake completely, it’s not always possible to see those effects. If a member of the study was fiendishly craving chocolate chip cookies but was instead provided with a plate of broccoli, the study authors are essentially ignoring the shift in hormones and chemicals that has taken place in that participant’s body. Weight loss frustrates doctors because it should be simple: fewer calories in, more calories out. Clearly, it’s not so simple. Many studies contradict this one. A Princeton study found that rats with access to high-fructose corn syrup gained significantly more weight than those with access to table sugar. A simple analysis of data shows us the relationship between HFCS and obesity: “The consumption of HFCS increased more than 1000% between 1970 and 1990, far exceeding the changes in intake of any other food or food group,” according to an article published in The American Journal of Clinical Nutrition. During those same years, the percentage of obese adults doubled. Could it be that the exponential increase of drinking sugar is to blame for obesity and not the sugar itself? Absolutely. But this doesn’t mean that HFCS is not to blame — HFCS is perfectly suited to liquid sugar consumption. Parents who eliminate HFCS from their diets and the diets of their children go a long way toward decreasing liquid sugar intake as well. I’m disappointed by The Atlantic‘s one-sided regurgitation of the study, which seems to come straight from the marketing department of the Corn Refiners Association. To conclude his analysis, James Hamblin writes, “There’s no reason you should pay more or go out of your way for a food just because it’s made with ‘real sugar’ instead of HFCS. Which, to be clear, is also real sugar.” Hamblin ignores the fact that, even if this study were absolutely true, it has nothing to do with those who maintain a healthy weight. It’s interesting that the study only recruited men and women who were already very overweight or obese, which Hamblin never acknowledges in his conclusion. I could suggest a more productive study in which the Corn Refiners Association monitors both people who are obese and people of healthy weights, allowing them to eat whatever they typically eat, and then measuring the amount of sucrose and HFCS consumed by each of the groups. But those studies have been done and the results are clear. I could ask questions about this study to shed more light on its outcome. For example: After the study, which group gained weight back the fastest? Instead, here’s a more important study that you can do on your own: Eliminate HFCS from your diet for 3 weeks. Have a craving for a sweet snack while you’re out and about? Swing by the grocery story and pick up some strawberries. Have a craving for chocolate chip cookies? Bake a batch with real sugar and butter. Like pancake syrup? Try out 100% maple syrup. Read every ingredient on every package you consume — no high fructose corn syrup. Then answer this: Have your cravings for sugar increased or decreased? Have you lost or gained weight? Overall, how do you feel? Theory is one thing and practice is another. The Corn Refiners Association study is caught up in theory while casting a blind eye toward the very serious obesity epidemic and how the day-to-day choices that Americans must make every day affect their health. Author WEPosted on August 13, 2012 April 29, 2013 Categories Diet, False AdvertisingTags corn refiners association, HFCS, high fructose corn syrup, is HFCS worse than sugar, james hamblin, real sugarLeave a comment on Is High Fructose Corn Syrup Worse Than Sugar?